Birchbox delivers the best products and the best insider secrets, without any fuss. Every month Birchbox members will receive a curated box of luxe beauty samples. Each box will span beauty categories and deliver exciting products that fit into both your day-to-day routine, and into those days when you want to turn up the drama a notch. Being the beauty-fanatics that we are, and with a price tag of only $10/month, we signed up for one initial month. 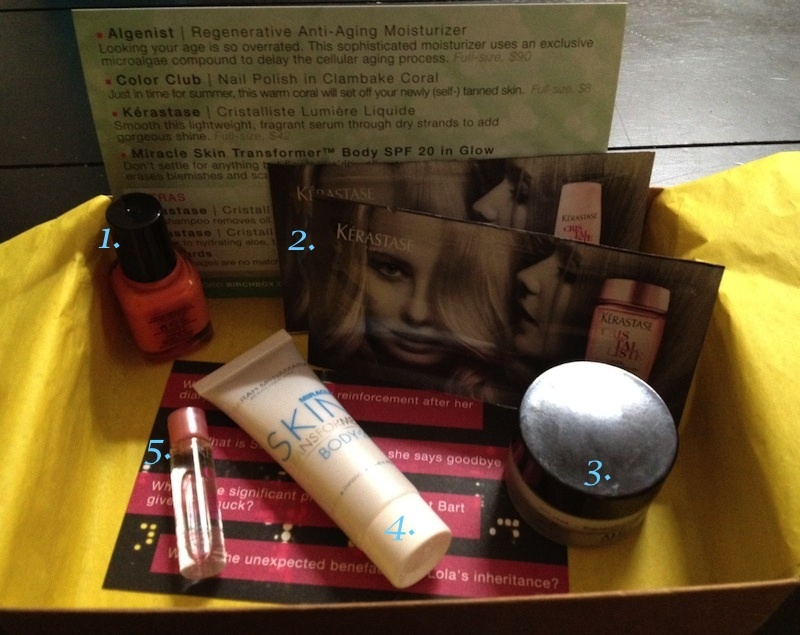 Our first Birchbox (for the month of May) was delivered a few weeks after our sign up. It was packaged beautifully in it’s “Gossip Girl” theme and featured impressive beauty product samples. My personal favorite in May’s box has been the nail polish (I’ve been wearing it for two weeks straight) – it’s fun, bright coral color that’s perfect for summer! Can’t wait to see what this month’s box brings. Looks like you got some great items in your Birchbox. I signed up today so I can’t wait for my first box next month.